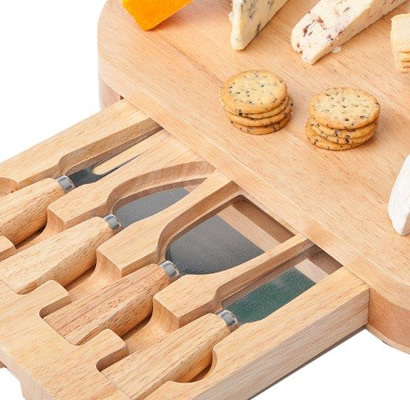 A cheese board with a difference! 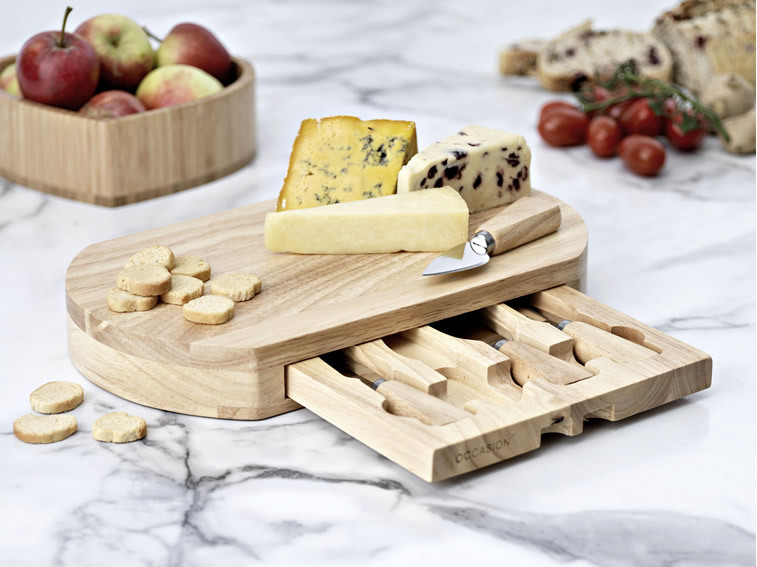 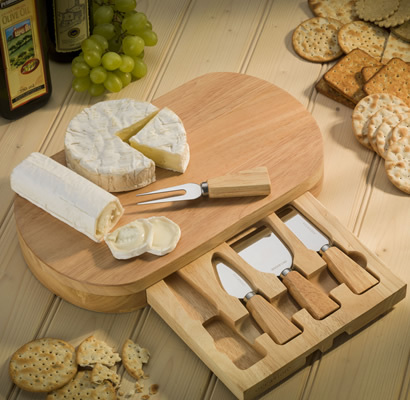 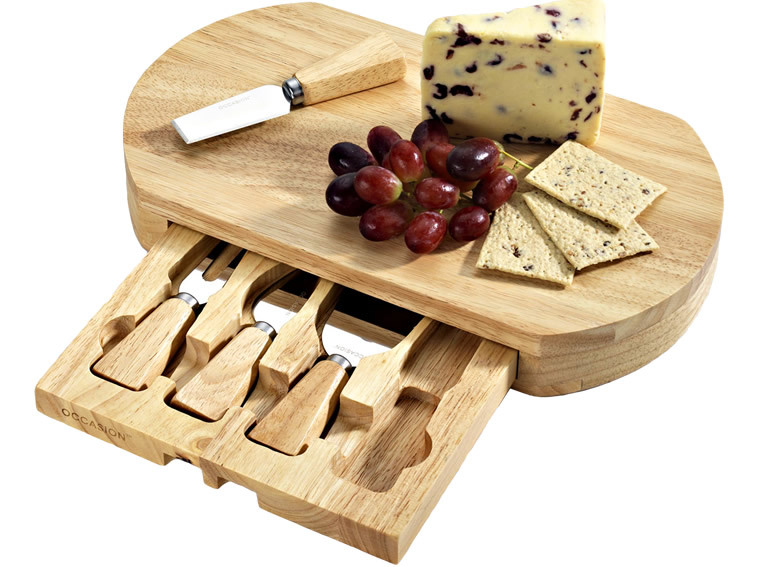 Beautifully oval shaped, sensibly sized to offer an array of cheeses, contains 4 separate cutting knives which can be stored in a secret compartment drawer, clever! 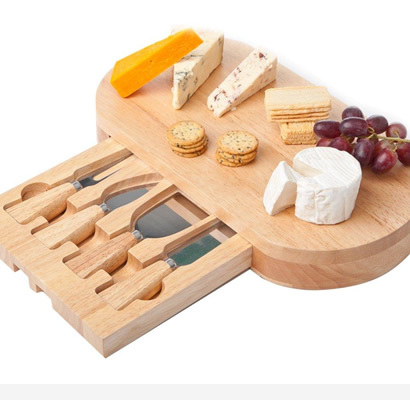 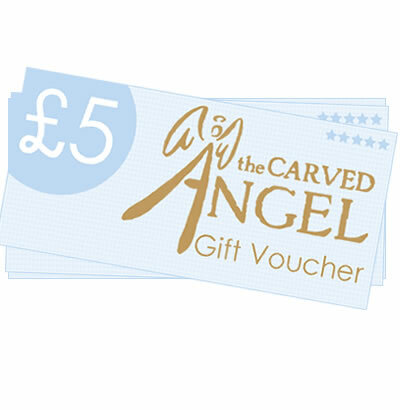 Perfect wedding gift or simply as a moving in pressie! 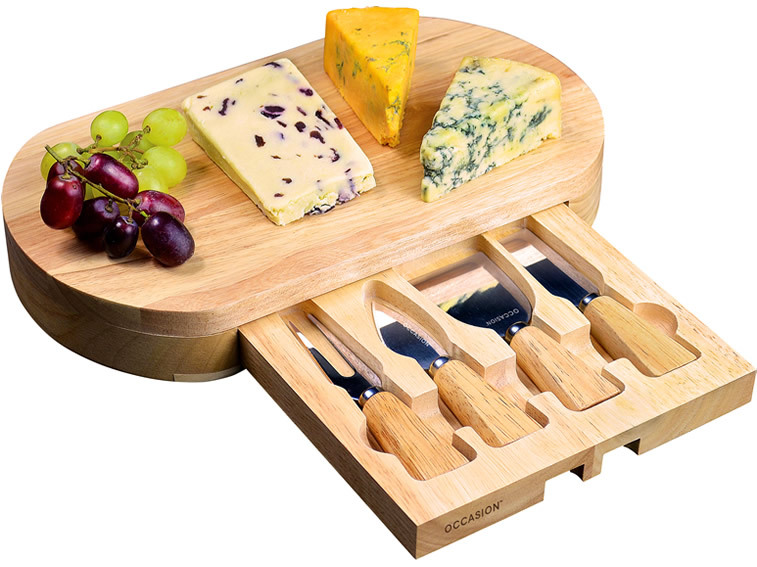 Packaged in a stylish presentation box, this is a neat gift that will be used very regularly!